Craft Fair Wraps up for Another Year. The children squeal and run with mittens trailing from coat sleeves. It is still November but the cold has brought about an early Christmas spirit despite the perpetual grumblings about weather. 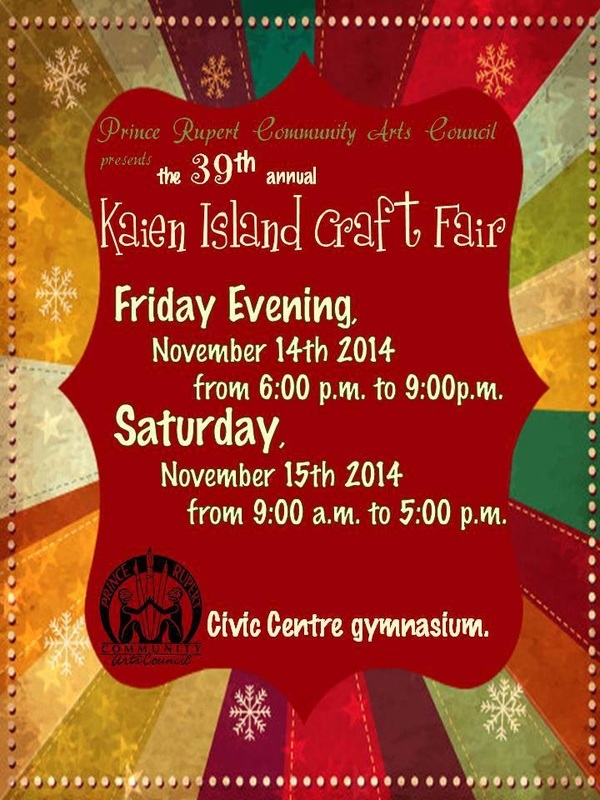 If it is not too hot, or too rainy then it’s too cold Friday and Saturday brought the Annual Kaien Island Craft Fair. A 39 year tradition. A busy day for all involved. 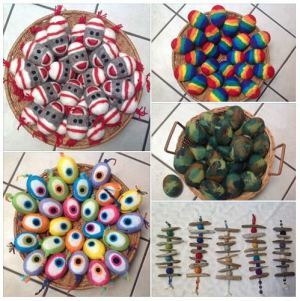 Crafters and vendors alike, poured into the local gym an annual community event took place. It is a social event as much as anything. A celebration of crafts, a community social event, an opportunity to shop local and support local artisans, a Herculean effort to organize and a good time had by all. For 8 hours Saturday I watched the crowds, talked with folks, socialized and had a great day. By 5pm I was exhausted, and glad that I don’t work in the retail business. A special thank you to all the vendors and all those that came to support them. I also want to say – for those who attended either as a vendor or as a shopper. Please let the Arts Council know how you felt about this year’s craft fair. 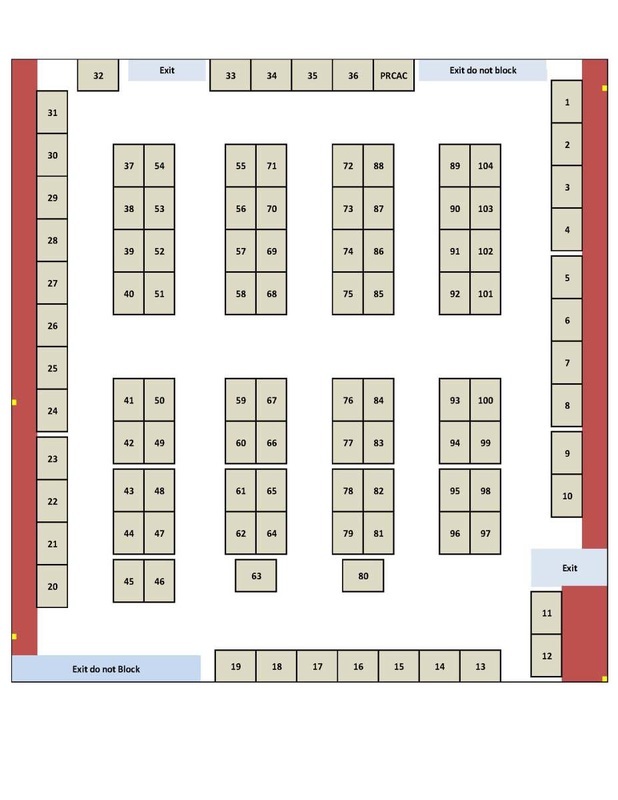 There were some new things this year – a new layout which I know some of the vendors were very nervous about – but I think most folks had more room than they thought they would. There was shopping on Friday night – lots of people turned out for this – but lots of nervousness around this by vendors leading up to the event. One vendor, sold out of all her cupcakes Friday night and spent the entire night baking more – not certain she got any sleep at all. Tell us what you liked... tell us what you didn’t.... tell us how we could make a better experience for all. But please also remember the Arts Council is composed entirely by volunteers who donate their own time and energy to put together the various Arts Council Sponsored Events. If you have strong feelings we encourage you to come out and volunteer! 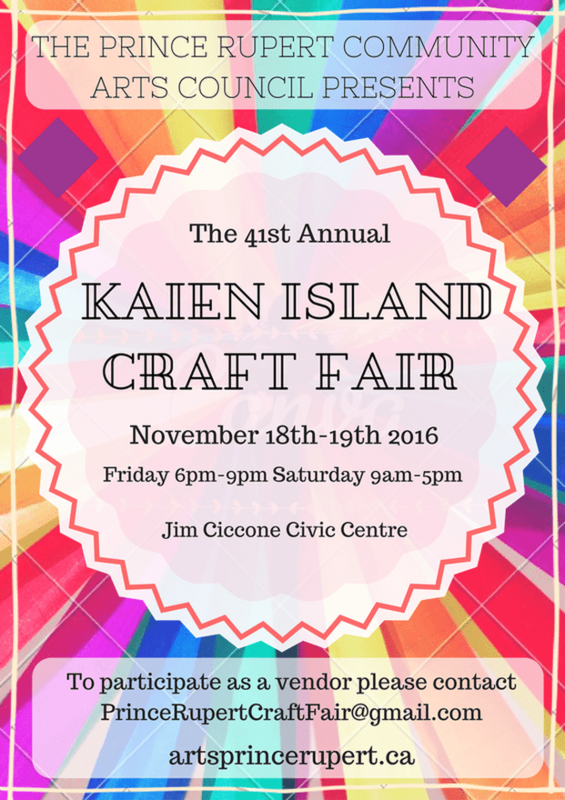 Saturday was the Annual Kaien Island Craft Fair. A 38 year tradition. A busy day for all involved. Crafters and vendors alike, poured into the local gym an annual community event took place. It is a social event as much as anything. A celebration of crafts, a community social event, an opportunity to shop local and support local artisans, a Herculean effort to organize and a good time had by all. Change was announced to vendors at the craft fair. Sadly, there were a number of crafters who were unable to secure a table this year as the demand for tables exceeded the available space. As such the only persons who were able to secure tables were those who were on the mail out list from the previous year. So when the question of fairness and equal opportunity came up the Arts Council board began discussions on creating a process that would be not only be fair but provide an equal opportunity for all those who want to vend and meet the requirements of hand crafted. To this effect the Arts Council is looking at implementing a peer-reviewed process for applications in the coming year. Other possible changes include a re-configuring of the tables to try to increase the number of tables while still allowing effective flow of shoppers! The Arts Council has heard serious trepidation about the announcements of coming changes to the Craft Fair in 2014. I would like to pass on to both vendors, potential vendors, and customers alike that these changes are not being discussed in order to create an elitist event but rather to find ways of making accessibility of spaces a more fair and transparent process open to as many creative and crafty people as possible. 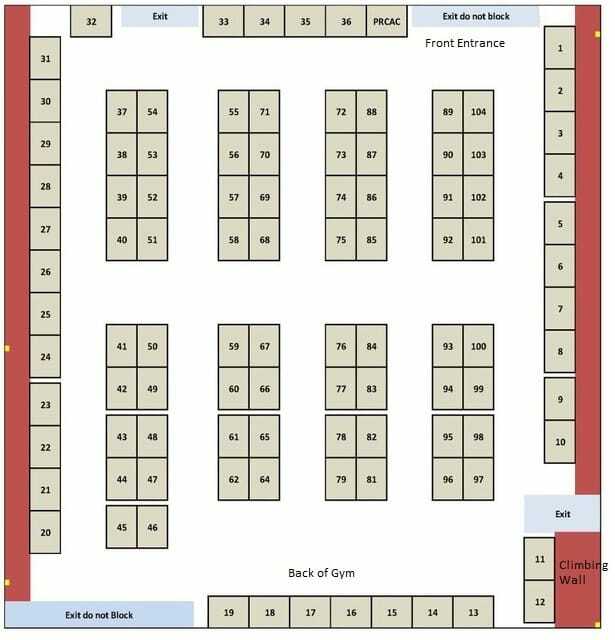 The Arts Council is also looking at potentially changing the lay out to increase the amount of vendor space in the gym and minimizing dead space. The Arts Council is proud of it's Craft Fair and Thanks all who come out to vend as well as those who come to support our vendors.